Next thing you know we buyout Luo and sign Thomas. BAHAHAH. 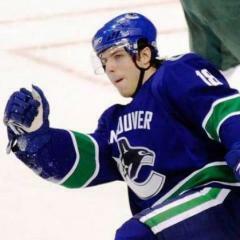 on the Canucks front page it says we drafted Nicklas Jensen in 2009!!! Looks like were either going for Glen Gulutzan or Dallas Eakins. Just say no to Eakins, pls. Yea, a Kesler sig please? What happened to Saniel Sedin? Anybody got any maxim lapierre renders? Anyone got some Cory Schneider renders?